Our veterinarians should always be our first go-to resource for all essential health questions about our pets. However, many pet owners have been frustrated at their vet’s lack of interest or experience on the topic of CBD oil. In fact, it seems like everyone is talking about CBD – except veterinarians! Veterinarians are rightfully hesitant to recommend a supplement without scientific backing. While there are countless human and animal studies on the safety and efficacy of CBD, only this year have we begun to see exciting results specifically on dogs. So lack of clinical trials are unlikely to be a problem for your vet. 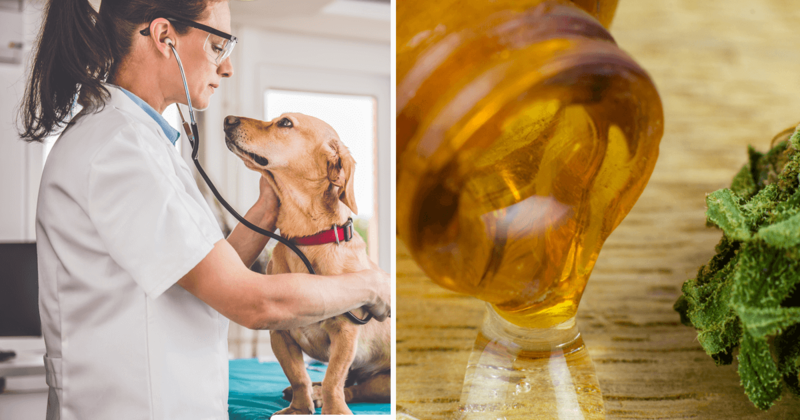 Privately, we’ve had countless conversations with veterinarians off the record who are very excited about CBD, but hesitant to begin discussing it with patients over fear regarding their licenses. This situation though, is likely to change soon as their is much discussion and debate in the veterinarian community on the use of CBD products. Dr. Celeste Yarnall is interviewed on Dr. Karen Becker’s podcast about her use of CBD oil with her cats.